We all know how this particular saga began. A long, time ago, in a galaxy far, far away. And we all know how popular this saga has been over the last 39 years. But new, exciting news has come from the Star Wars camp. And this time, it's more special than you could ever imagine. The saga is receiving a reboot of sorts, but it's not in cinematic or written form. It's not a new game. It's something else entirely, something we never expected. And it's something that will excite and enthral audiences when it arrives. And it will be doing so in a very surprising fashion. Disney have partnered with none other than rap superstar Kanye West and presidential nominee Donald Trump to produce a never before attempted piece of musical theatre based around the star Wars saga starting in chronological (as opposed to film release) order and bringing The Phantom Menace to Broadway as a rap opera. Not only will Kanye be writing the songs, he'll also be putting his rap career on hold to star in the space saga opera to star as Obi Wan Kenobi. On his role he said “There's nobody else who could do this. Busting out iconic Jedi rhymes, is something I was born for. It cries out to my sensibilities as the most important superstar of any generation” before going on to (we assume) joke that “this won't kill my recording career. 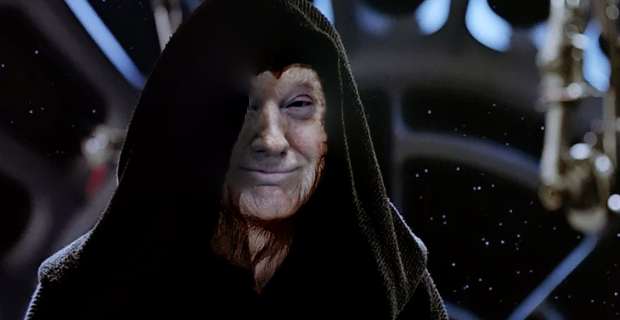 It'll just make me more powerful than you can ever imagine.” When asked about Donald Trump's involvement, our fears were allayed, and we won't be seeing him as Darth Maul. But there is a possibility of him playing Emperor Palpatine. But his main focus in this Broadway adventure is said to be primarily a financial one. Kanye has already been in talks with theatre special effects guru David Maydup and is promising a spectacular festival of pyrotechnics, light sabre battles choreographed with music penned by Skrillex. And Kanye has also promised that those with hearing difficulties will be able to take advantage of sign language provided by an army of Twi-lek dancers. 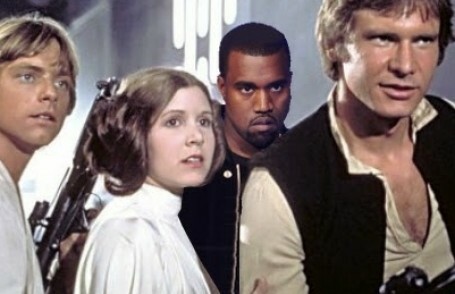 It's also been revealed that in later episodes that Kanye's wife, Kim Kardashian will be reprising the part of Princess Leia, and that other announcements on stars for the Star Wars Rap Opera will be announced in the coming months. We'll have more on this as and when it comes in. But until then, may the farce be with you!